Apex Window Films' automotive line of Headlight protection films. Headlamps are such an important safety feature of your vehicle, and so expensive to replace. Protect your headlights without hiding their unique style. 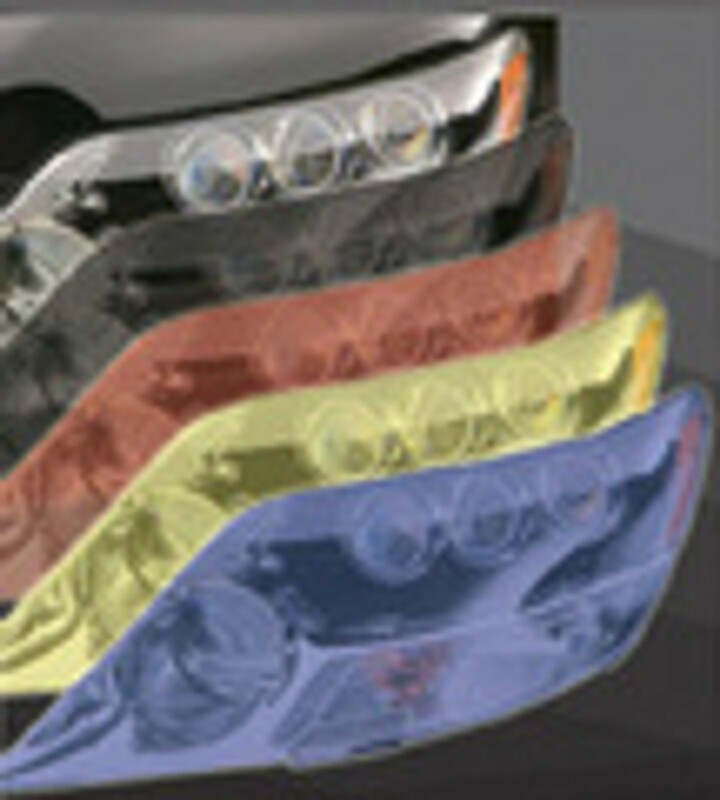 Headlight films provide protection from cracks and scratching and are available in grey, blue, yellow, and red. Only 400 microns thick for easier installation, Apex headlight protection film offers an incredible tensile strength of 3800 psi. Please check state/provincial and local by-laws before purchasing any type of automotive tints or protective films.